On this blog, I wrote about my personal experience wearing the slimming and compression pants from Japan. If you haven’t read my article, you can read it here. Why does the pants work? The key factor is the Kodenshi fiber. The pants actually has over 88% composition of Kodenshi fiber. Now, what is Kodenshi fiber? I’ve been asked this question a few times from my customers and I’ve decided to do some research. In this article, I will list down my findings. 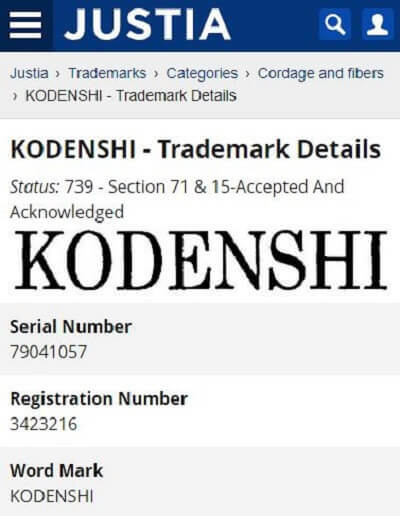 I did some research online and found the actual trademark to the word Kodenshi. The current trademark owner for the word Kodenshi is Firbest Co. Limited. The international trademark registration was filed back in 30th May 2007. Meaning, the Kodenshi technology is actually more than 10 years old! 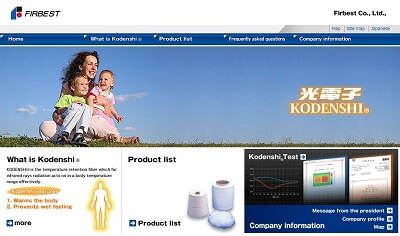 Classification wise, Kodenshi was filed under Textiles and textile goods. Fun fact: The English translation of the Japanese word Kodenshi in the mark is Photoelectron. The data above are all public information. You can find the details from Justia Trademark. 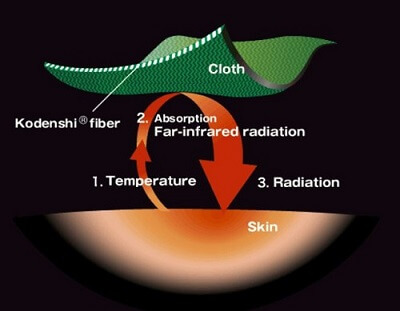 How does the Kodenshi fiber works? To answer the above question, I had to do my research on Firbest Co. website. The manufacturing process is quite amazing. In the production process, they use high purity ultra-fine ceramics blended to make the fiber. How small is the ceramic particles? Apparently, the size of the ceramic particles is smaller than the particle size of cigarette smoke. How they blend the ultra-fine ceramic onto the fiber is a mystery to me. Firbest uses state-of-the-art-technology in their manufacturing process. What I do know is that ceramic is a natural element that emits far infrared rays (FIR) when it is heated. What is the heat source for the Kodenshi fiber? It is actually your own body temperature. When you wear the compression pants, the material touches your skin and absorbs your body heat. Your body heat activates the ultra-fine ceramic in the Kodenshi fiber and releases the beneficial far infrared rays. In my next article, I will write about the benefits of far infrared rays (FIR) on the human body. Thank you for reading this article and I hope my research on Kodenshi fiber has been helpful for you. How To Start A Business Selling Japan Slimming & Wellness Pants In Malaysia?